There's no longer anything "artificial" about the benefits that AI can bring to your company. In only a short time, artificial intelligence has evolved from being purely speculative to being a mature technology with lots of room for future growth. Financial firms, in particular, have much to gain from leveraging artificial intelligence as part of their business processes. So many financial activities depend on making split-second decisions based on finding patterns in a sea of data — exactly the kind of tasks that AI agents excel at. Below, we'll discuss four of the ways that the most forward-thinking finance companies are using AI to get a leg up on their competitors. Many customer-facing financial activities can be boiled down to risk assessment or risk management: for example, the risk that a customer will default on a loan or go over their credit card limit. As a result of these calculations, the company decides whether to approve the customer's request, and what kind of interest rate to offer them. Previously, human analysts had to go through hundreds or thousands of records and transactions in order to offer a sensible rate, which was slow, inefficient and tedious. By using AI, companies can process and use historical information much more quickly when making a final recommendation. Software applications using "machine learning" techniques can even accept data about the outcomes of their recommendations and incrementally improve their formula over time. Banks, credit unions and other large financial companies may process thousands or millions of transactions each day. Being able to sort through these activities and identify potentially fraudulent anomalies is crucial in order to prevent the loss of money and maintain customers' trust in your institution. AI software is capable of understanding your customers' behavior better than any human analyst ever could. It can identify unusual actions, such as using a card in a different location or withdrawing large sums of money, and automatically issue an alert to the customer. 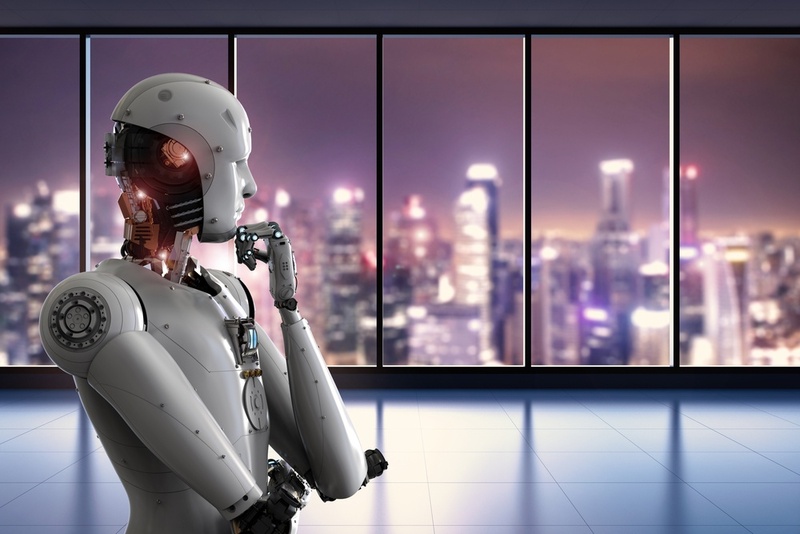 Just like with risk assessment, AI agents can use machine learning to correct false positives and errors that they've made and do better in the future. These days, very little trading on the major stock markets is actually done by human traders. Instead, it's done by "algorithmic trading": instructions for a computer to execute a particular order immediately once the stock price reaches a certain level. In addition to these simpler automated trades, large financial firms are trying to use "deep learning" models such as neural networks in order to beat the odds and predict future stock prices. With thousands of stocks and millions of data points to examine every day, AI technologies can crunch the numbers in real time to constantly provide the best recommendations. Specialized AI software can even perform "sentiment analysis" on news articles to see whether a company is receiving positive or negative publicity. Millions of consumers need help with the best way to invest their hard-earned money, but they're reluctant to pay too much in fees to a financial advisor. Companies such as Betterment and Wealthfront are building "robo-advisors" that can provide solid financial advice, at a fraction of the cost of a human advisor. Users first enter information about their assets and their financial situation, and then receive advice about how to allocate their investments across different financial instruments. This advice can evolve and improve over time in response to changes in market conditions and the user's financial goals.